If you like Baymax and need to organize your keys then you just need this Big Hero 6 Baymax key chain. The key chain has a gold colored chain with a key loop and a clip and that makes it versatile and just perfect for so many tasks. 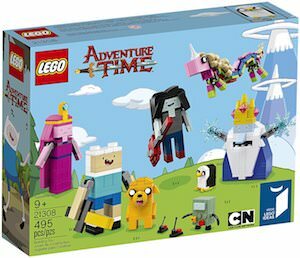 On the chain, you will find Baymax as a 3D figurine that is 2.3 inches high and he looks just as amazing as in the movie. If you like Baymax because of Big Hero 6 or because he is just so cute then this keychain is just what you need. And besides, for keys, you could use this Baymax key chain also as a zipper pull or just a fun decorations while hanging on your backpack. 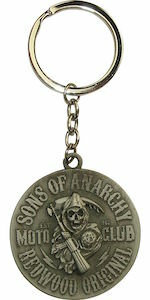 Now you keys of your motor bike can hang on this Sons Of Anarchy key chain. The key chain has a key ring and a tiny chain with on the end a round piece that has the reaper logo in the middle and round it the text “Sons Of Anarchy Redwood Original Moto Club”. A Sons Of Anarchy key chain like this one is a great item to own and can besides for your keys also be used as decoration on a backpack or jacket. If you have a biker friend then why not surprise them with a fun SAMCRO key chain like this one. This key chain will be loved by kids that like Peppa Pig as it has Peppa’s face on it and 4 buttons and those buttons produce fun sounds we all know for Peppa Pig on TV. The pink bag clip also has an on / off switch on the back and will be perfect for entertaining kids with some sounds they know and love. 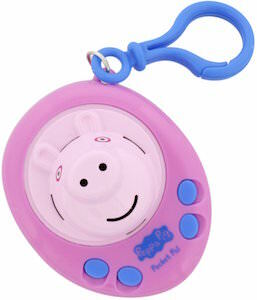 Just clip the pocket pall on their backpack, jacket or maybe even the stroller and they will be entertained with the fun shape and sound that this Peppa Pig pocket pall brings. If you are the true fan of Sherlock then you gone love this Sherlock Holmes key chain. The key chain is metal with an enamel print on it and that says “I Am Sher Locked” just like we have seen it on Irene Adler’s phone. Now you can have that famous logo on your key’s or if you want you can even use this key chain for other things like a zipper pull or just to dangle on your backpack. Sherlock would like it if you have this key chain just to remind us about what happened with Irene. If there is only one thing you can choose when the zombie apocalypse happens then of course it’s gone be Daryl Dixon. And now anyone can have their own mini version of Daryl from The Walking Dead. This figure of Daryl is about 1 1/2 inch tall and looks like a Pop! 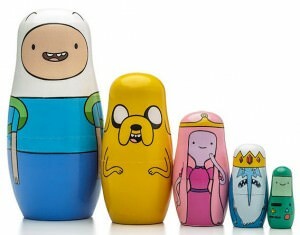 Vinyl figure from Funko but that is not so strange as this is a Pocket Pop! Keychain. Daryl has all the details you expect with his eyes and hair being so clearly him and he even brought his own knife. 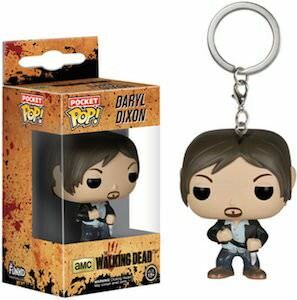 If you want a new key chain then choose this The Walking Dead Daryl Dixon Pocket Pop! Key Chain. If you want to know how it feels to have a superhero in your pocket then you just need this key chain of Captain America. This key chain is from the Funko Pocket Pop! 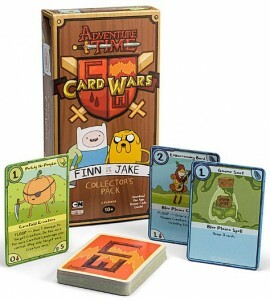 Series and just looks great. Captain America is about 1 1/2 inch tall and is based on the Avengers: Age Of Ultron Movie. And of course Captain America brought his shield and is ready for some action. The Captain America key chain has a loop and a clip so that besides holding your keys you can use it for other tasks as well. 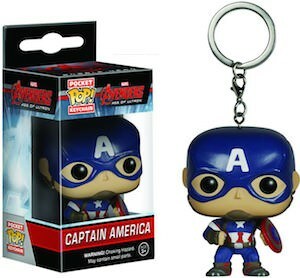 Maybe Captain America can become a zipper pull or just decoration on you school bag. And if you just want to see this little superhero then you can also just leave him in his windowed box. Come a take a closer look at this Avengers: Age Of Ultron Captain America Pocket Pop! Key Chain. Fall in love all over again with the original movie Jaws. It was the highest grossing movies at the time of its release and everything about it sends chills up your spine. 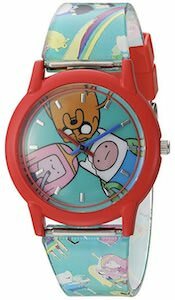 So why not carry it around all the time with you in the key chain form. Aged bronze is the best way to describe the outside of this key chain, it looks like it is right from 1975. Inside the pewter circle is the graphic of the original movie poster of Jaws. There are the blood red letters at the top “JAWS”, with a woman swimming on the surface of the water, and coming up from below is the famous teeth from that great white. This circular key chain measures 1.5 inches in diameter and comes with a ring and a lobster clap to attach to another key chain or to your purse, phone case, or whatever you need to add. The outside ring that holds in the graphic is made of pewter, so you know it will be durable. 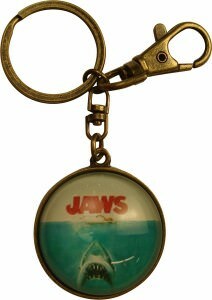 Get those keys in order on the Circular Original Jaws Movie Key Chain. Young and old alike fell in love with the little yellow minions from the Despicable Me movies. Minion Tom was the first minion to be transformed into an evil minion with the PX-41 serum, but you can see him here in his usual fun and childish form. Two-eyed Tom is seen on one side of the charm of this key chain in his blue overalls, yellow body and buzz-cut hair. The PVC plastic charm measures 2.25” x 1.25” and is attached to a silver colored key chain with split key ring. Celebrate your love of these cute little characters with this Despicable Me Minion Key Chain. Are you always having trouble remembering where you put your house or car keys? Why not put them on this cool Frozen Olaf the snowman key chain to make it easier for you to find your keys the next time you go out. This cool Olaf snowman key chain is in the shape of the funny, cute, and happy snowman Olaf with his stick hands up in the air, his cute little carrot nose and a big smile on his face just like in the Disney movie Frozen. Olaf measures 3 1/4 inches long so it wont’ take up much space in your pocket or purse. You’ll find yourself smiling and remembering all your most favorite Olaf memories when you put your keys on this cute key chain.